"Deepest condolences for your loss. I love you all." Obituary for Pastor Larry R. Buettner Sr.
Pastor Larry R. Buettner, Sr. of Cuba, Missouri was born Saturday, February 25, 1939 at Centralia, Illinois to the union of Raymond and Ernestine (Nee: Allison) Buettner. He went home to be with The Lord on Thursday, March 29, 2018 at Mercy Hospital, St. Louis at the age of 79 years. Larry graduated from the Ferguson High School and then attended Washington University for two years, were he studied Psychology. 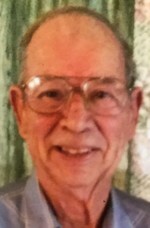 Larry enlisted in the Army Reserves and served from 1958 till 1964. On March 1, 1958 at the Evangelical Reform Church in Ferguson, Missouri, Larry was united in marriage to Mary Parrott. They were the proud parents of Karen, Linda, Larry and Rebecca. Larry started his law enforcement career working for the Missouri State Highway Patrol Troop I where he received the Pistol Expert certificate. Then he became an ATF Agent in Jefferson City and they sent him to Washington D.C. where he trained as a Secret Service Agent. Next, he was a Federal Game Warden for half the state of Missouri. He also worked for the St. Peters, Missouri and Salem, Missouri Police Departments and the St. Charles County Sheriff’s Department. In 1980 Larry found The Lord and began his ministry career. His first church services where held at the American Legion Hall in Cuba, then he pastored for Cannon Community Church of Cook Station. From 1983 to 1984 Larry attended Rhema Bible College at Broken Arrow, Oklahoma. After Bible College, Larry returned to Cuba to pastor and from 2006 to present Larry has been the pastor of the Faith Chapel Assembly Church of Cuba. Larry enjoyed arrow head hunting, quail hunting and fishing. He always checked his game camera for one of a kind picture and for years he had to two Brittany dogs. What Larry loved most in life was The Lord, his family, preaching and reading his bible daily. He was a loving son, brother, husband, father, grandfather, great grandfather, great-great grandfather, uncle, great uncle, brother-in-law and friend of many. He will be truly missed by all who knew and loved him. Larry is preceded in death by his parents Raymond and Ernestine Buettner, two daughters Karen Ann Knight and Rebecca R. Buettner, brother David Buettner, two brothers-in-law Barrett “Barry” Houseman and Ted Parrott, grandson-in-law Nick Furr and other family and friends. Those who are left to treasure her memory and to continue her legacy are his loving wife of sixty years Mary Buettner of the home, one daughter Linda Faye and husband Allen Pitts of Cook Station, one son Larry R., Jr. and wife Darla Buettner of Steelville, six grandchildren Amber Furr of Jefferson City, Missouri, Shawn and wife Cheyenne Pitts of Cook Station, Heather and husband Mike Riley of Steelville, Nick Buettner of Steelville, Dawn Hayes of St. Louis and April Knight of Missouri, thirteen great grandchildren, two great-great grandchildren, one sister Caroline Houseman of Cuba, one sister-in-law Kathy Buettner of Norwood, Missouri, nieces, nephews, great nieces, great nephews and a host of other relatives and friends. Visitation will be Monday, April 2, 2018 from 11:00 a.m. till 1:00 p.m. at the Mizell Funeral Home, 904 W Washington Street, Cuba. Funeral service will be at 1:00 p.m. Monday, April 2, 2018 at the Mizell Funeral Home of Cuba with Lesa M. Mizell officiating. Special recorded music will be “Amazing Grace”, “We Will Ride”, “Family Bilbe” and “Go Rest High on that Mountain”. Honored to serve as pall bearers are Nick Buettner, Mike Riley, Matt Bennett, Chris West, Brian Bennett, Ronnie Williams and Shawn Pitts. Interment, prayers and full military honors will follow at the Meramec Hills Cemetery, Cuba. In lieu of flowers, donations may be made to Special Olympics Troop I in Larry’s memory. The Mizell Funeral Home of Cuba is honored to be serving the Buettner family.